Over the weekend, my mom and I went to a conference called Empowered to Connect. 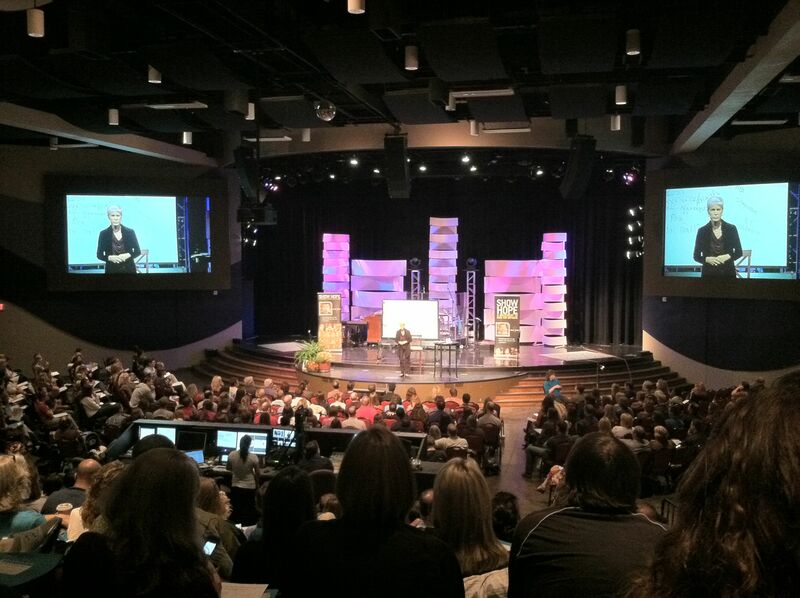 The main speaker was Dr. Karyn Purvis, author of The Connected Child. It was without a doubt, the best conference I’ve ever been to. I feel like I learned SO MUCH. Dr. P is a great speaker and such a sweet, sincere, funny, smart woman. I think we all fell in love with her. The principles she teaches for parenting kids from hard places are really great. They are so love-based and wise. Also time-tested as she’s been using them with great results for over 30 years. Lots of “duh” moments over the weekend, as I realized why a lot of conventional discipline practices are counter-productive with traumatized kids. I cried. I laughed. I really do feel more empowered to connect. Here are a few little nuggets of goodness that won’t come close to doing justice to how great this conference was. Seriously, if you’re a foster or adoptive parent and you ever have a chance to hear Karyn Purvis speak: GO. • Bad behavior always has a purpose. What is the need that’s driving the misbehavior? Help your child develop a voice. • Giving a child choices and compromises gives them a voice and returns their preciousness. • Sharing power (through compromising, giving choices, etc.) proves that it’s your power to share; it doesn’t take it away. • If you cut your child off when you’re upset (through timeouts or silence), you are teaching him to do the same thing to you when he’s older rather than dealing with and resolving conflict. • Always level your response at your child’d behavior, not their preciousness; never let your child’s preciousness be up for grabs. This entry was posted on Tuesday, September 27th, 2011 at 8:33 am and is filed under Faith, Family, Family: Foster Parenting. You can follow any responses to this entry through the RSS 2.0 feed. You can leave a response, or trackback from your own site. I love Dr. Purvis. I want her to move in with us. So glad you go to go to this! All of these parenting tips are great for biologic kids, too. Let’s hear it for learning parenting skills! It sure helped us get three really great kids who have become special, successful adults. Wow! I bet this WAS great! I would love to hear her speak. Didn’t realize that she was traveling. I’m looking into this. Thanks : ).